This stylish Ring is by the popular watch designer Bering. 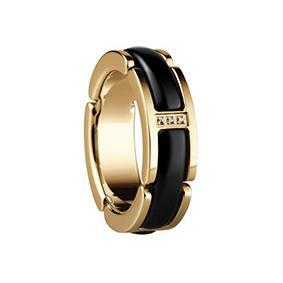 Bringing their innovative and unique designs to jewellery, Bering has crafted this Gold plated Stainless Steel ring with Black Ceramic links and Cubic Zirconia detailing. This fabulous jewellery piece will complement your Bering watch perfectly.